Ever since Texas Cake House aired on Food Network, lots of people have not only ordered the cow skull cake featured on the show, but they always ask how I made it look so realistic--and how in the world I hung it on the wall! It's about time I teach my fellow cake fanatics how to recreate this beautiful and unique cake! 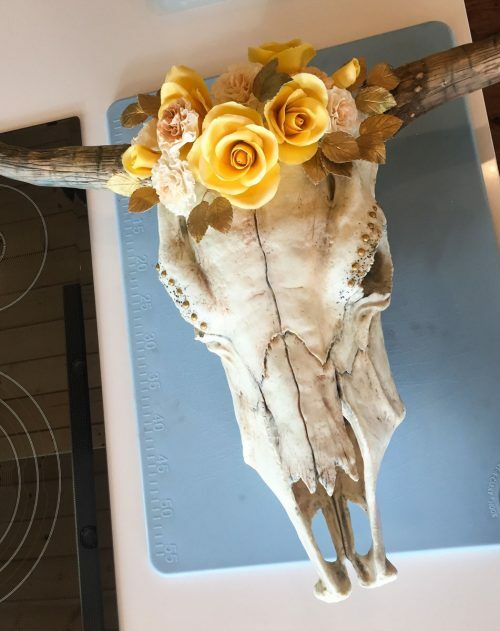 In class you'll make your own hanging cow skull cake that focuses on structure, materials, tools, sculpting, painting, sugar roses, and all kinds of useful techniques that translate to other sculpted cake designs. You can even take what you learn and apply it to future projects. 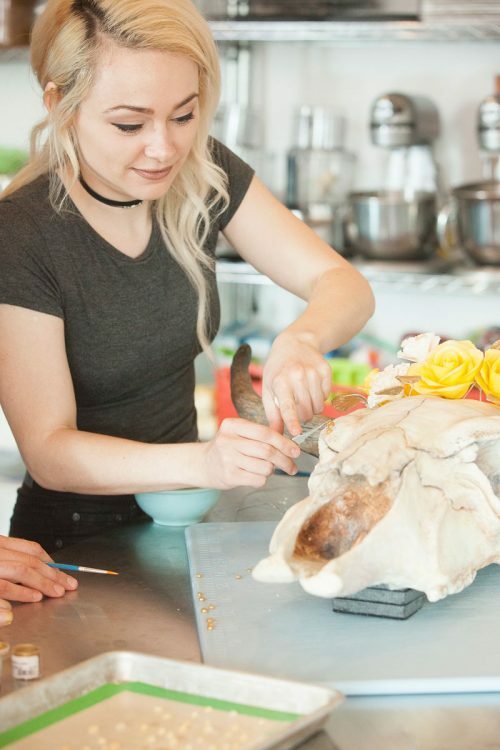 I will provide a cake carving demo, and your work will be made with Rice Krispie Treats in place of cake so you can travel with it and keep it for years! 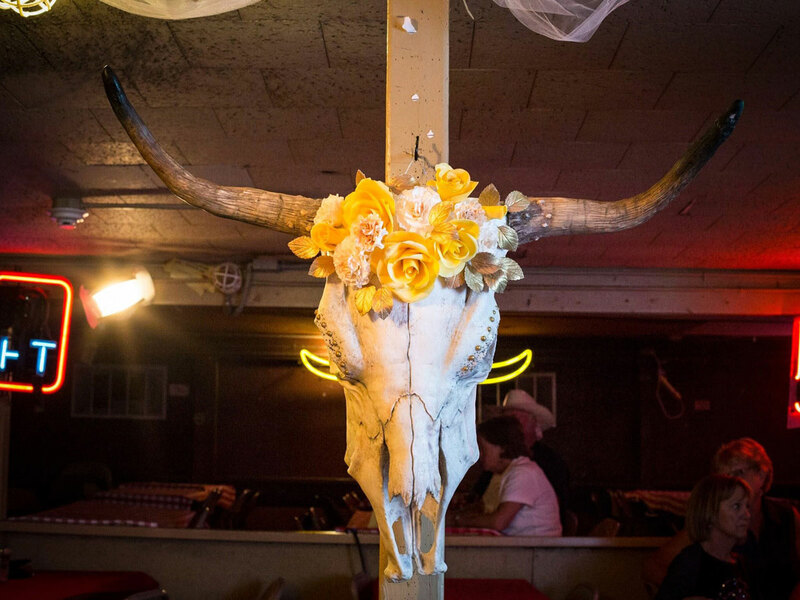 Maybe even hang it in your living room! 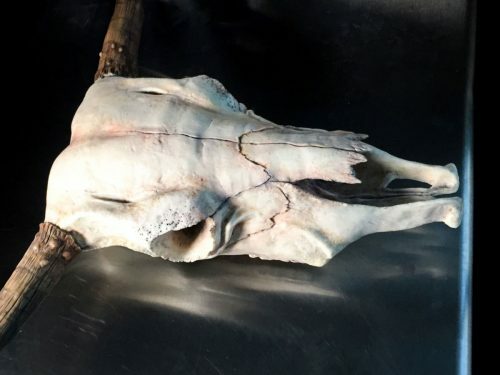 Toward the end of class I'll help you hang your cow skull so you can see your work fully completed and on display! Beginners welcome (you can do it!)! Natalie Sideserf has made a name for herself as a pioneer in realistic cake sculpture. Her cakes have been viewed by millions and have been featured on major media news outlets internationally. 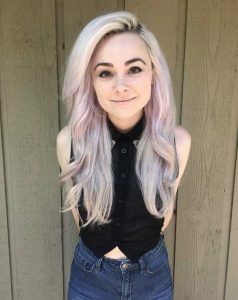 She has made numerous television appearances including hosting Texas Cake House, a Food Network show based on Natalie and her cake business, Sideserf Cake Studio.